Hawaii imports 97% of it’s beef from the mainland. 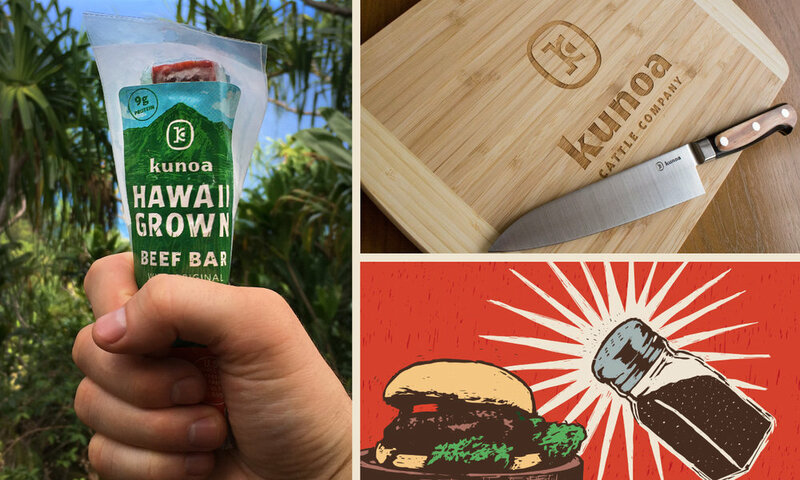 Kunoa is a grassfed cattle company, which raises and processes its cattle in Hawaii. My role included developing packaging design for their ground beef and beef bars, in store merchandising, website design, supporting social media assets. Animation created for the annual film, interactive media, and music festivals and conferences, located in Austin, Texas. Concepted the storyboard, developed artwork, animated and edited final animation. 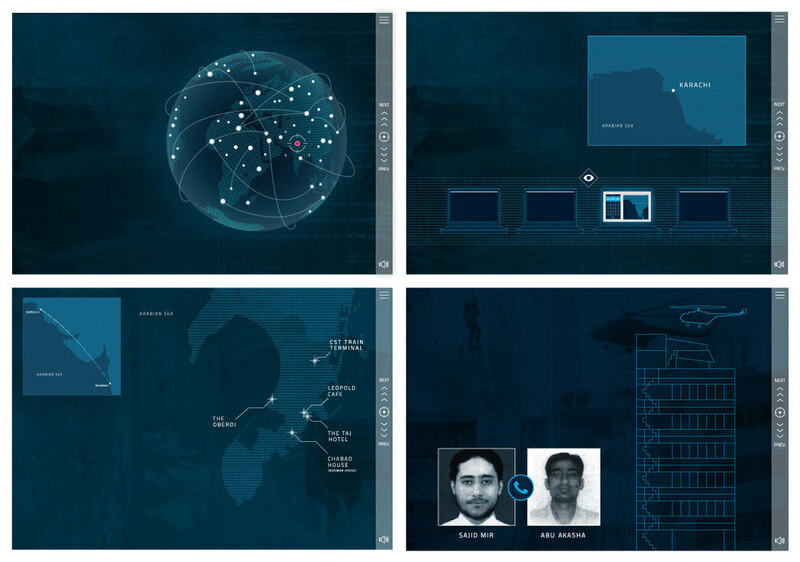 Interactive experience developed in part with FRONTLINE, ProPublica and 2over10 Media to build this interactive web app that sheds new light on intelligence surrounding the 2008 terrorist attacks in Mumbai. Based on extensive interviews with intelligence officials, court files and documents disclosed by the former N.S.A. contractor Edward Snowden. Animated video created to raise awareness about air monitoring at schools. Storyboarded and animated video used for Sustainable America's Facebook page. Blinderman Construction is a family-owned general contracting firm, which has serviced construction needs in the Chicagoland area since 1971. 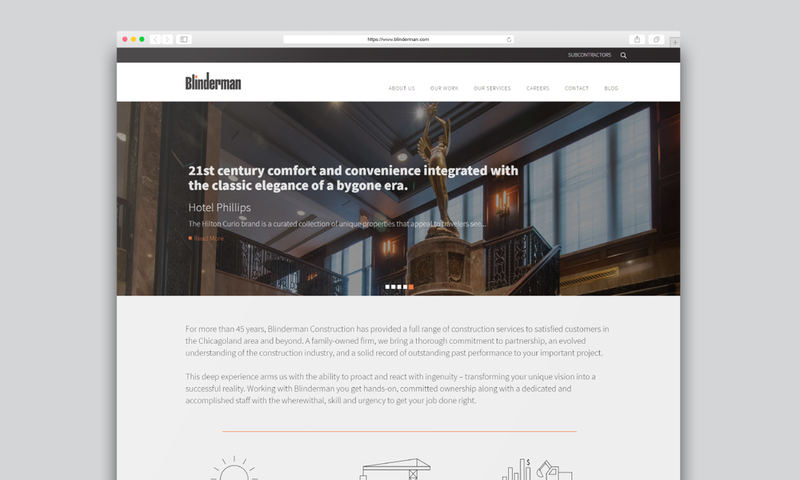 To better feature their projects, skills and company culture, I developed site structure that would lead a user through all facets of Blinderman's expertise. I developed a geometric illustrative style to pair with Blinderman's existing, industrial wordmark. 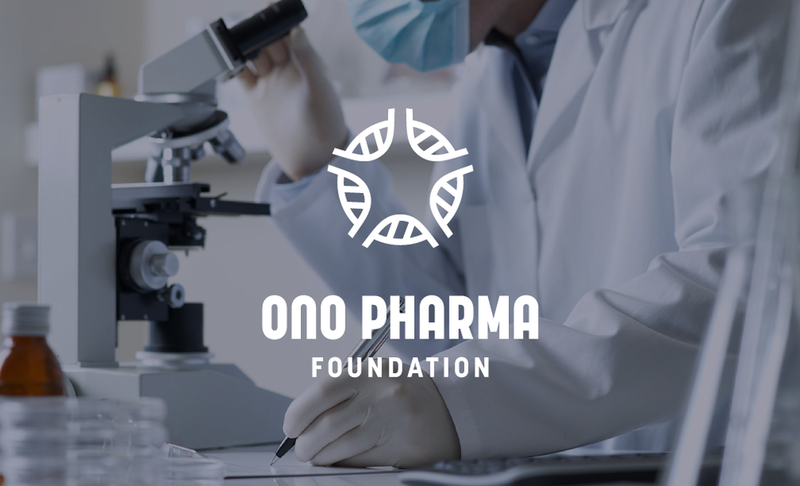 Founded on the mission to accelerate open innovation by supporting high-risk and high-reward science research projects, Ono Pharma Foundation awards grants to research breakthrough treatments. Project included identity design and website design. Branding for a Google Developer’s coding event. 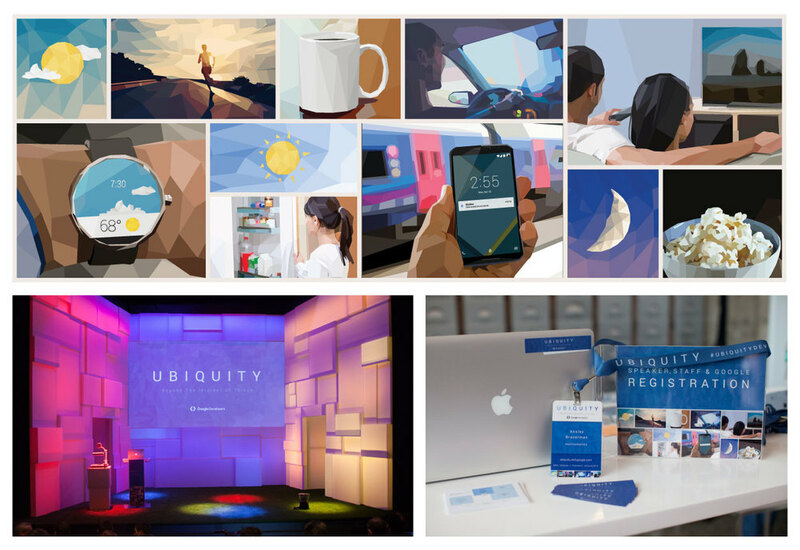 The two day event focused on ubiquitous coding and the Internet of Things. I created a polygonal illustration method to convey the seamless transition of object interation and daily life throughout a person’s day. Materials included: event signage, t-shirts, badges, presentation templates and website design. Autowatts sizes a solar photovoltaic array to match driving habits and electric vehicle preference, arranges financing to beat current monthly driving fuel costs. My role included: event signage, sales tool app design, brochures, and animations. An explanatory video to describe to third party partners why they should use Autowatts to sell solar to their customers. An explanatory animation to describe why car dealerships should use Autowatts to sell a solar array along with the sale of an EV. 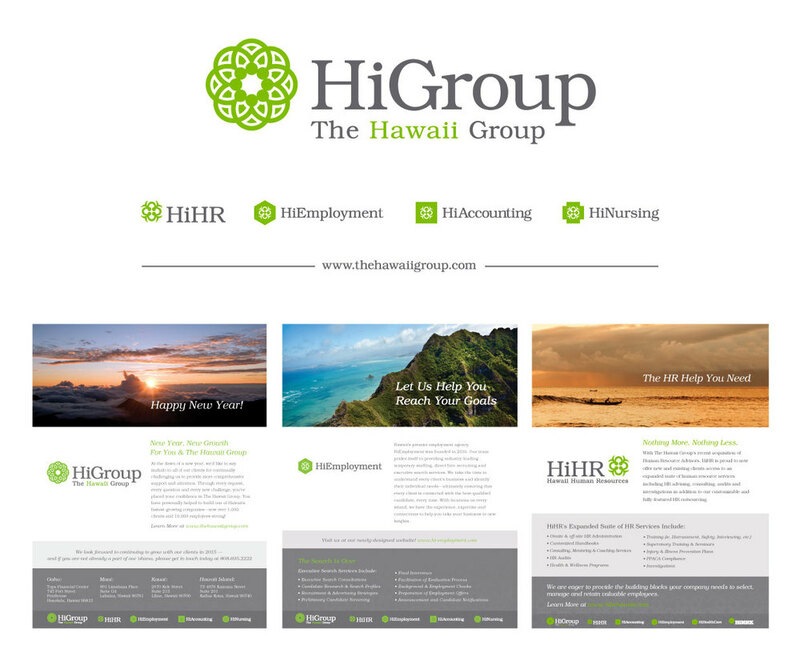 The Hawaii Group is a family of companies specialized in human resources, accounting, staffing and health care services. My role included: a monthly ad, office signage, business cards, website designs. 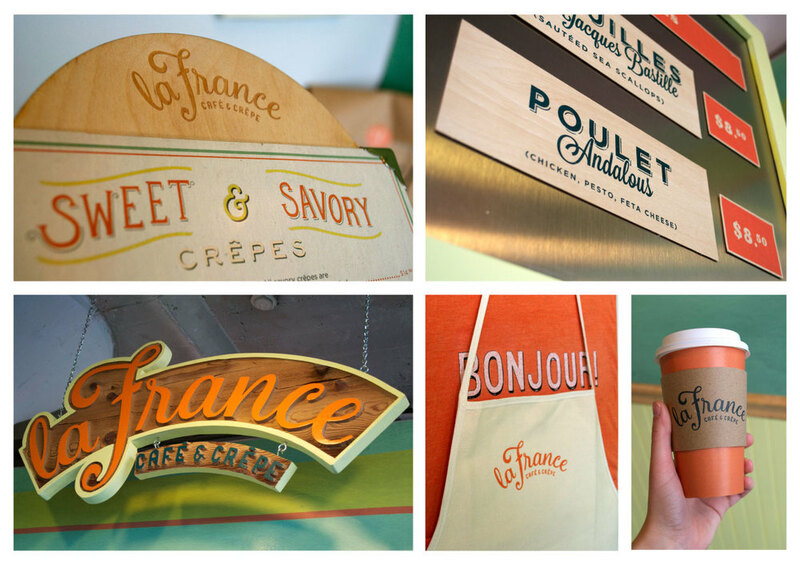 La France Cafe & Crepe’s branding (or lack thereof) was a poor visual representation of the quality of food served. I researched historical references of old French cafes, bistros and brasseries to bring an authentic visual aesthetic that expressed the creperie’s commitment to craft and quality. An assortment of logos developed over the years.